Canopy Growth has become the first major licensed producer of medical marijuana in Canada to announce plans for its own stand-alone retail recreational cannabis outlets. The Smiths Falls-based company aims to have its sales outlets up and running by the time cash registers ring in the launch of Canada’s multibillion-dollar recreational marijuana industry this summer. 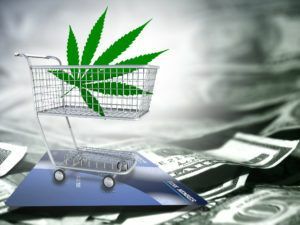 A Canopy official told Marijuana Business Daily the company is exploring retail options in provinces where private sales are going to be legal. Those provinces include Newfoundland, Saskatchewan, Manitoba, Alberta and British Columbia. So far, Newfoundland is the only province that Canopy says it’s “solid” on — with four outlets in the works. Canopy confirmed it had a team scouting potential retail locations on the island last week. In December, Canopy entered into the largest provincial cannabis supply agreement to date – agreeing to supply Newfoundland and Labrador with 8,000 kilograms (17,637 pounds) of cannabis products annually for two years. Canopy also agreed to establish a new production facility in the province capable of producing 12,000 kilograms per year. Provinces excluding private sector sales include Ontario (40 planned government-run stores), Quebec (15), New Brunswick (20), Nova Scotia (unknown) and Prince Edward Island (4). In Ontario, Kathleen Wynne recently appointed TD’s Ed Clark to run the OCRC (Ontario Cannabis Retail Crop.). Clark oversaw Wynne’s ill-fated partial privatization of Ontario Hydro. Could this mean the OCRC could be sold to Wynne’s peers in the private sector before it even opens one store?